The Change Navigator® is a revolutionary new tool for change leaders that takes participants on a journey through the stages of transition that are common to periods of change and helps people to understand and navigate them. It focuses on the emotions of individuals as they navigate change and the predictable stages of transition. 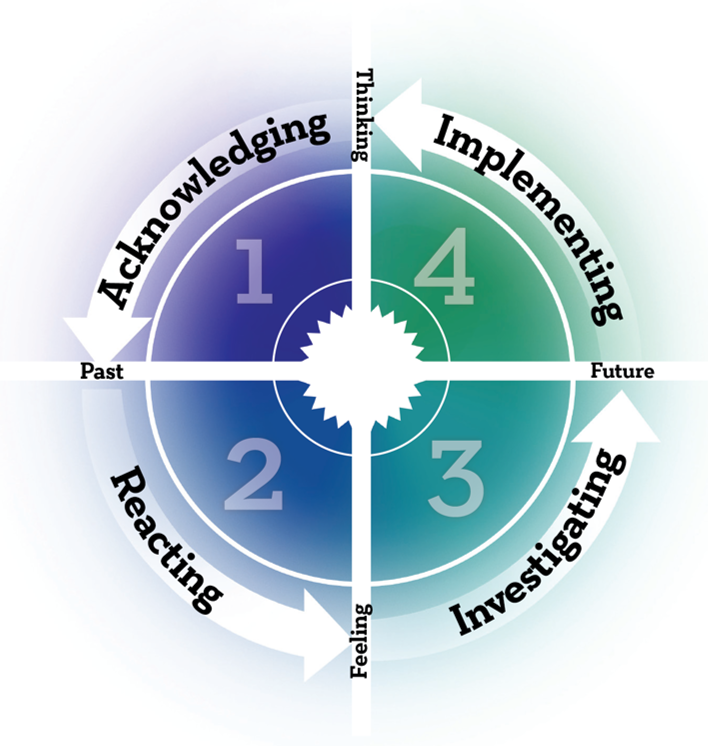 The assessment measures where individuals will fall in the four stages of transition for a specific change event: Acknowledging, reacting, investigating and implementing. While change in an event, people’s response to change is more like a process. Feelings are a natural and predictable part of change. Effective change leadership significantly contributes to whether individuals sink into resistance or start to develop resiliency. The Change Navigator® is a unique exercise in change exploration designed for organizations that are undergoing a specific change event. The Change Navigator® identifies and facilitates movement through four commonly identified stages of transition that people typically experience as a result of change. While all individuals going through change experimentation of these four stages, the focus, page and intensity of the stages may vary. This Proprietary Change Transition Model was developed from decades of behavioural psychology research. Why use the Change Navigator®? Is affected by organizational change. Wish to have an impact on the successful implementation of a change initiative. tools and processes to help you support others through change and the related transition.